Let’s talk about balance and harmony and what it means to your well-being, in relation to your surroundings and feng shui. The dictionary defines harmony as: An agreement in action, opinion and feeling … an order or congruity of parts to their whole or to one another. Balance defined as harmony in the parts of the whole. Our sense of well-being comes from our environment, our surroundings and how we interact with it and each other. Balance and harmony are two words that are entwined with one another in their definitions and what they offer our lives. When applying feng shui principles the results are all about creating balance and harmony. So, in a sense we are saying feng shui is the art of well-being. Feng Shui brings these things together through the placement of things around you, looking at what is working and/or not working in your life and making adjustments to bring balance and harmony to all aspects in your life. The fact is that everything is entwined with everything. Just as in the balancing of scales … you have to put something on one scale and something on the other in order to bring it to balance. These things are usually different in nature so there needs to be adjustments in order to make that happen. Same in feng shui, we achieve harmony and well-being by bringing all the elements of our surroundings into balance. 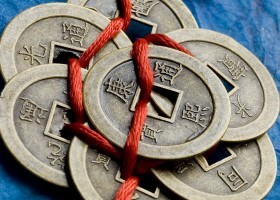 The principles of feng shui are simple at the core, being that where you place things matters. There is so much more to it … there are many facets of feng shui that need to be integrated with one another. That is the trick, to master that trick brings your world into balance and harmony. Your well-being is your responsibility and a matter of concentrated effort on your part to make it happen. No need to do any of this on your own, there are people and professionals out there to help you create the life you envision.